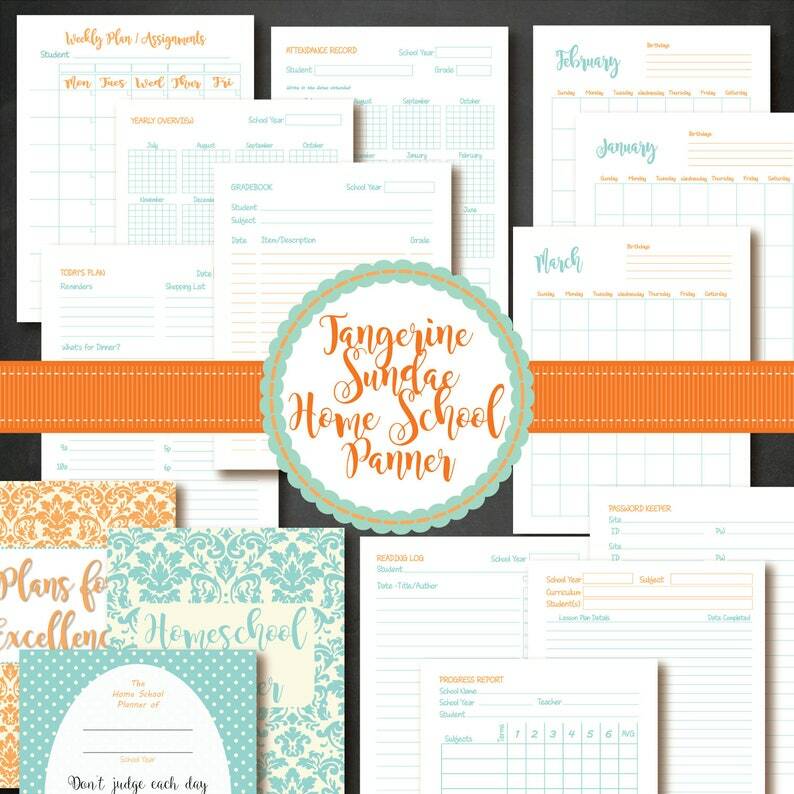 Print and put together your own homeschool planner! This set of printables is a great starting point for your homeschool organization. These PDF files offer great flexibility for you to print what you need in whatever quantity you need. These pages are undated to use over and over each year! - Yearly Overview: this form allows you to plan your school year by highlighting or circling the days you plan to have school. -Attendance Tracker: in the same format as the Yearly Overview, print one for each child to record their attendance. -Weekly Plan/Assignments: Use this page as a lesson planner or as an assignment checklist for older students. -Lesson Plan Specifics Page: Use this page when you need more than a page or lesson number and you need get specific with objectives or details. -Gradebook Page: Designed for one student and one subject per page. - Undated Monthly Planner pages : January through December. - 2 cover pages and an inside details page. Please note this is a digital product and NO physical product will be sent. The files will be available for download on your Etsy purchases page right after your payment clears. HOW DO I PRINT THE KIT? 2. Save the PDF files onto a USB Flash Drive and take to a local copy shop to print for you. If you have any question, please check my policies or feel free to contact me.